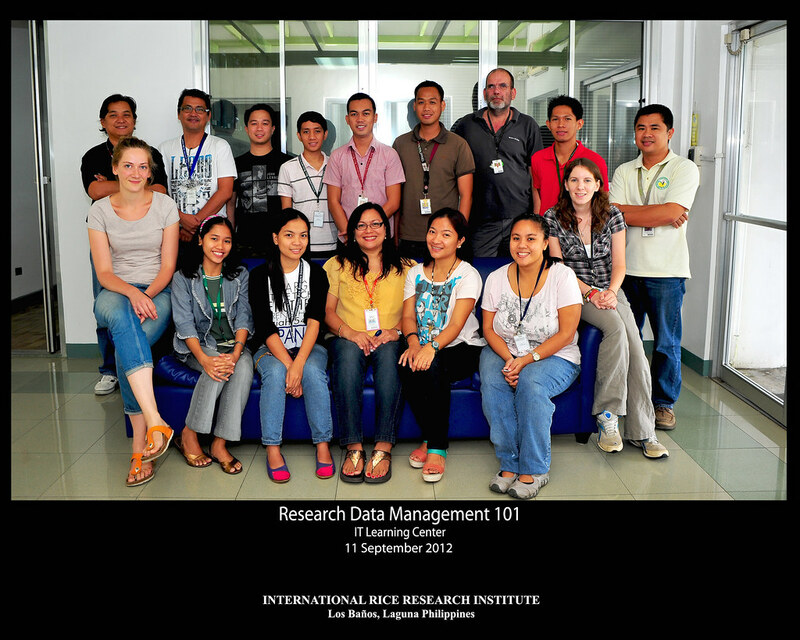 The course aims to teach IRRI research staff good practices in gathering and managing research data. It covers organizing raw data in spreadsheets and databases; and data manipulation, checking, and validation. File management tools are also introduced and demonstrations conducted. Ten participants, composed of researchers, interns and M.S./Ph.D. scholars from IRRI's various units, are attending the course. Resource persons were Marco van den Berg (chief information officer) and Rogelio Alvarez (IT manager for operations). The RMQA-RDM 101 training team is composed of Menchu Bernardo, Icoy Mercado, and Dec Arreza. The next RDM 101 will be offered in 2013.